There are a number of projects around the world to develop a powerful diesel outboard but Swedish company Cimco AB has beaten them all to it with its Oxe 200hp engine. Introduced at METS 2014, it has been the most talked about outboard since, but trying to get a sea trial to test the virtues of diesel power in an outboard has previously proved elusive. 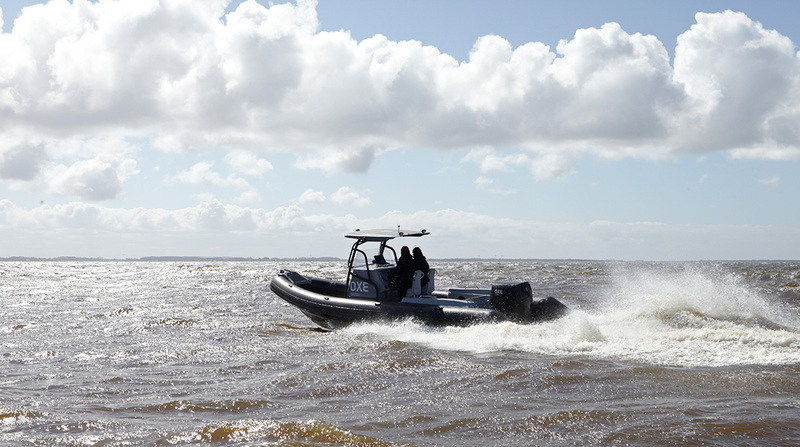 Now, for the first time, its potential can be revealed after we tested it on the back of a 9-metre RIB. 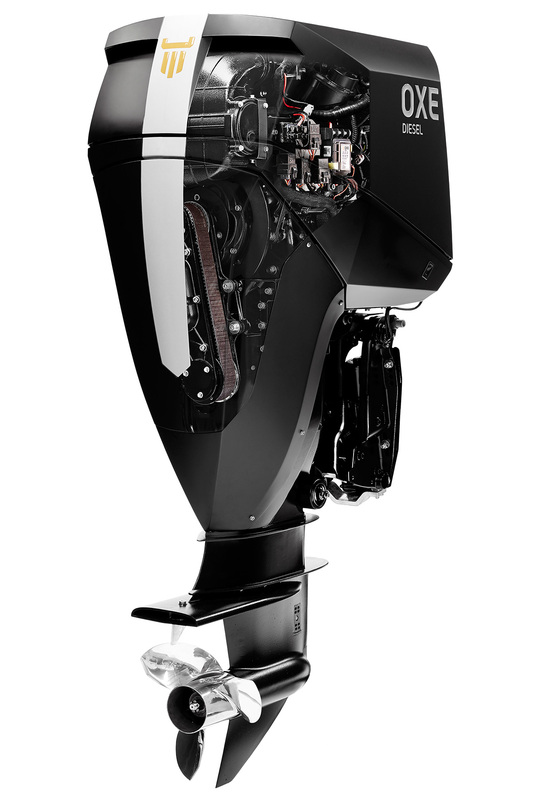 Not only is this the world’s first production diesel outboard but it boasts another world-first in the form of an innovative and unique belt drive transmission system. The belt drive allows the engine to be mounted horizontally and the drive from the engine goes first to a gearbox by belt drive and then from the gearbox to the bottom end by another belt. By guiding this second belt along a narrow path, the leg of the Oxe can be kept slim to reduce water resistance. The belt drive also overcomes a weak point in powerful outboards, which is the limitations of the drive and gears in the outboard leg. Conventional shaftdrive systems can struggle to handle the high torque of a diesel but the belt system seems to cope admirably. By having a gearbox with a multi-plate clutch it is also possible to include a trolling valve system to allow very low speeds of operation.